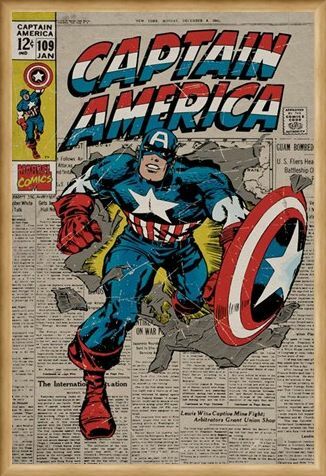 Comic Book Poster: Bursting through a newspaper, dressed in his patriotic blue, red and white guise, carrying his iconic shield, Captain America is ready to fight any villain that crosses his path. 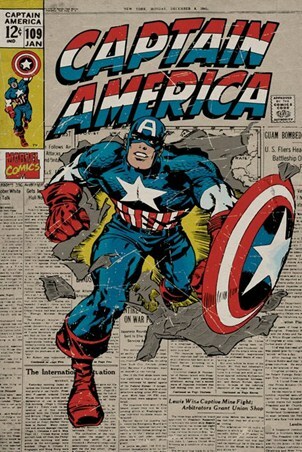 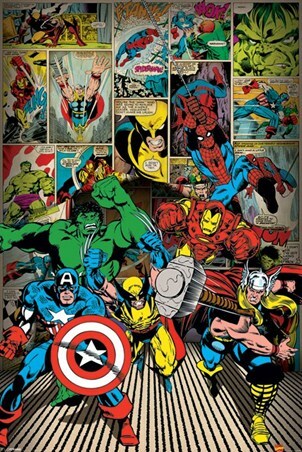 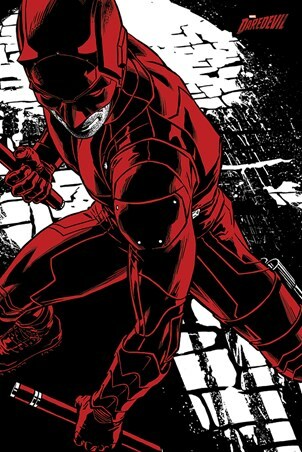 Marvel Comics have showcased the action packed adventures of Captain America for 60 years, and this retro style poster features the cover art work from one vintage edition. 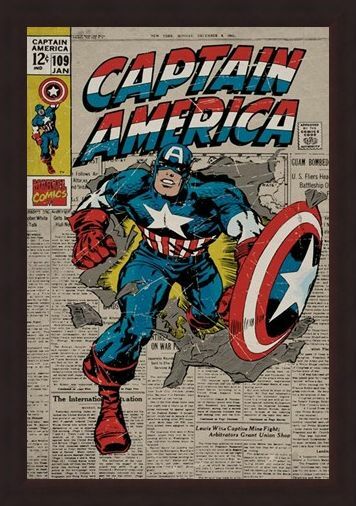 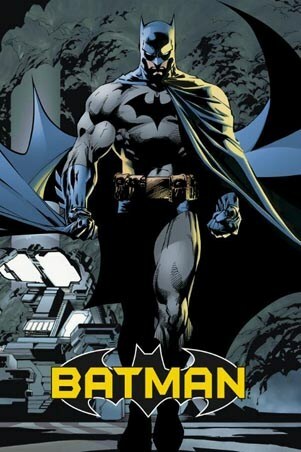 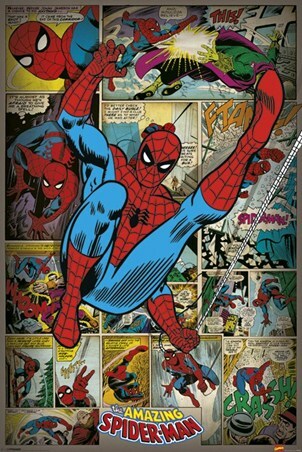 Incorporating the Marvel Comic's emblem, a stamp of approval from the comic’s code authority and the edition number, this is the perfect poster for any fan of Captain America or Marvel Comic enthusiast; it's a super way to celebrate a true Marvel hero! 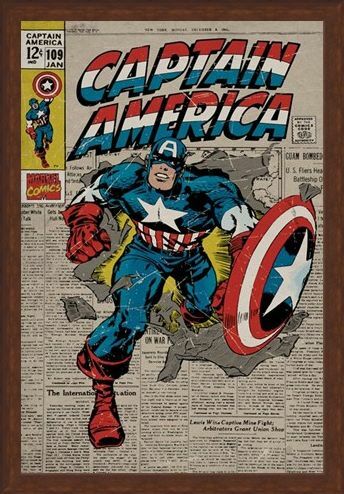 High quality, framed A True Marvel Hero, Captain America poster with a bespoke frame by our custom framing service.